Saving on eating out isn’t always easy, most restaurant promos aren’t valid every day of the week or only apply to certain locations in Spain. It’s also a good idea to download restaurant apps for additional offers. Includes VIPs, Ginos, TGI Fridays, The Wok, Starbucks (except at Airports) and Wagamama. Become a Club VIPS member (for free) and download the app to get direct discounts and special promos. Discount also applies at most Starbucks. VIPs: 15% off take aways on Fridays. Free hamburger or pizza with a minimum 12€ spend until the end of Nov, download coupon or show on app. Gino’s: 2×1 dinners on Sundays for Club VIPS members. 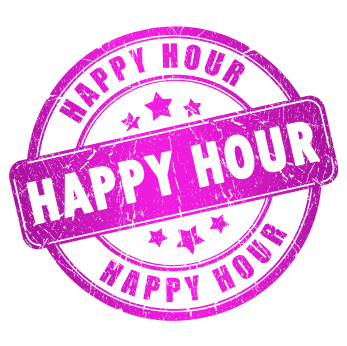 TGI Fridays: Every Thursday 2×1 after 8pm for Club VIPS members, also on Thursdays “Happy Hour” promo from 5pm: 2×1 on drinks (cocktails and beers) at the bar . Download the app and register to get a 20€ discount voucher to use on your birthday (check participating restaurants). If you have lunch or dinner the week of your birthday, you’ll get a free starter and main if the person who accompanies you has a starter, main and dessert. Drinks not included, must show photo ID. More promos on website, vary by location. Sign-up to Fosterianos to get info on promos and discounts. Register to get a 10€ voucher available to use on or up to 15 days after your birthday. Only valid in restaurant chosen during registration. Download the McDonald’s app to get promos for your local restaurant. 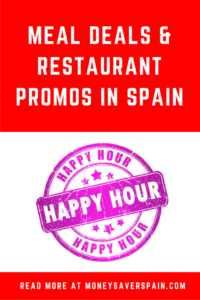 Get discount coupons based on your location in Spain (mainland or Balearic Islands), either print or download to your mobile. Or use their app to receive the latest promos without having to check their website. Pans & Company offers their app in English, download to get 200 points and then for every order you’ll receive 5 times the euro value in points. Every 100 points=1€ discount. Register at the Telepizza website for exclusive promos for orders made online. Current promos include 3 medium pizzas with up to 5 ingredients for 21€ (7€ each). Order online/by phone and collect medium pizzas for 7€ each, if your order is not ready at the designated time you’ll not be charged. Also in restaurants “all you can eat” buffet – check Facebook page for participating locations. Promos change every 15 days, check out the latest offers on their webpage. Free coffee daily for Ikea Family Card holders (you can get the card free in store from the self-service terminals). Get a full meal for 4.95€ (save 2€ on normal price), includes 10 meatballs, pancakes with cream and a drink. You can also get an extra 5 meatballs for 1€. Promo valid from 5pm till close. Promos available: Euromania on Wednesdays and Sundays, (nearly) everything 1€ each; A2Manos on Mondays and Tuesdays, one montadito (small sandwich) with a beer or tinto de verano 1.50€. Check participating restaurants. On Thursdays with every ración priced 6.50€ get another one free. Check online participating locations.